An HIT Moment with ... is a quick interview with someone we find interesting. 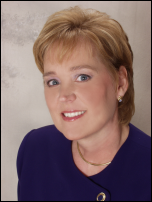 Judy Kirby is president of Kirby Partners of Altamonte Springs, FL (formerly Snelling Executive Search). How would you characterize the healthcare IT job market and how do you it see changing over the next 1-2 years? The healthcare IT job market is different than I have ever seen. I entered healthcare IT recruiting during the recession of 1992 and have witnessed its peaks and valleys. With the current economic crisis this country is experiencing, healthcare seems to be relatively stable, compared to other industries such as finance or automotive. That being said, healthcare organizations have investments that have diminished and are struggling with shrinking reimbursement rates. According to Thompson Reuters, the median profit margin of U.S. hospitals has fallen to zero percent. There is a lot of financial pressure on hospitals and nearly half are operating in the red. Many see hope in the stimulus money that will be available for electronic health records. Right now, there is caution and uncertainty in most organizations. They have needs in their IT departments, but are being very, very cautious in hiring and we have seen the hiring time increase. If the stimulus money for EHRs has the effect that some like Dave Garets from HIMSS Analytics predicts, there will be a shortage of implementation talent in the future. But that being said, as always, there will be positions that are “hot” and those skills that will be in abundance. Two years ago, we encountered many senior healthcare IT managers and CIOs who were approaching retirement age. They are now saying they will remain in the workforce longer and postpone retirement due to their dismal retirement portfolio performance. Healthcare IT positions, especially higher level positions, that were to open by the retirement of baby boomers will open up later rather than sooner. There is good news, however. We recently did a survey of healthcare CIOs that showed 31% expect their organization’s IT departments will grow in the next year. 50% said their department numbers would remain the same, and only 19% predicted a decrease in their department staff levels. The survey also indicated that 39% of the respondent’s IT departments are currently actively hiring, 6% will hire in the next three months, and 4% will hire in the next 3-6 months. There are always numerous opportunities out there no matter what the current economic conditions. The biggest effect the economy has had on our business is the number of possible candidates for positions who cannot relocate because they are upside down in their current homes or live in such a down real estate market that they can not sell their home. You might think a firm such as ours would have experienced a downturn in the current economy. Just the opposite is true. We are as busy now as we were three years ago. What advice would you have for employees to both keep their current jobs and prepare for their next one just in case? We actually are presenting at HIMSS on this same topic, “Know when to hold them and know when to fold them”, with Jon Manis, CIO of Sutter Health System. The advice for keeping your job is the same for preparing for your next move up on the rungs in your career ladder – you have to be invaluable to your organization and not just taking up space. We have heard from many CIOs they are using this recession as a way to “clean house”, so to speak. All things being equal, they will keep the employees who are doing the best job and have the best attitude. You can train skill sets, but you cannot train attitude, enthusiasm, or a desire to be successful. Those are the traits you need to exhibit. This is also the time to update your resume. Do it before you are in need of a new position. Don’t list what you have done, but describe what you have actually accomplished in your position. It is much easier to keep track of these accomplishments on a regular basis rather than having to go back and try to remember after the fact. Quantify your results as much as possible. Plus, when having conversations with your boss, it is always nice to be able to talk about your successes. How is the role of the CIO changing? What should CIOs be doing now? The CIO role has really changed over the years from a “bits and bytes” individual to a true C-level leader. John Glaser, CIO of Partners HealthCare, and I did a presentation at the CHIME Fall Forum on this very topic entitled “Where are we going? Evolution of the CIO”. Put succinctly, the CIO has to be a true leader, just like any other C level position in the organization. It goes beyond just keeping the systems up and running. That is part of it and a crucial part that can get a CIO fired. But, the role is starting to go way beyond that as CIOs acquire additional departments and different responsibilities. The CIO of today and tomorrow needs to be reaching out within their organization. They need to learn what leadership “looks like” and become more involved in working on business issues and contribute more than technology. They need to work with colleagues as peers and focus on understanding them and solving their problems. They need to fill domain knowledge gaps and skill gaps. And as we already stated, they never need to rest on their laurels, but focus on future accomplishments and how those accomplishments benefit their organization. Management of a healthcare IT department requires the same skills as management of any other department. As more and more in the hospital domain becomes “application driven”, CIOs will shoulder more and more responsibilities. We have heard several CIOs mention recently that they have picked up oversight for other departments – even departments such as HR or marketing. You need to know your limitations, and know when and where to find true specialists to handle things you cannot. What will the effect of the stimulus package be on the job market? It will be interesting to see just how the stimulus money does affect the job market. As you reported recently, Wal-Mart is entering the EHR market, and others will jump on the bandwagon to get those funds. The money will have some positive impact on those with strong implementation knowledge and for those in consulting. What the real impact of the stimulus package is will be difficult to predict until all the rules and regulations are ironed out. Any time the government is involved, your guess is as good as mine, but I do see it as a positive for those in healthcare IT. We have talked with healthcare IT organizations that are already looking ahead to the stimulus monies and planning for the talent they need to embark on the projects that will attract these dollars. What kinds of roles and training are available for clinicians who want to get more involved with IT and informatics? The roles are many and varied, depending on the clinical background. With EHR, lab, radiology, pharmacy, and informatics, depending on the background, there are lots of opportunities for the clinician who wants to be involved in technology. These include everything from a CMIO to nursing informaticist to builder and implementer. The individual needs to look at where they would like their career to take them long term, and then decide the best route to reach that career goal. We are seeing more physicians and nurses in the CIO role. We are seeing a new position, CNIO (Chief Nursing Information Officer) develop in larger organizations. Consulting firms and vendors are utilizing these skill sets in their business models. As far as training, there are numerous masters’ programs out there and they provide a good education. If at all possible, while pursuing book learning, try to balance that out with hands-on experience. The two paired make a much better skill set than just a degree and no real technical experience. The employment world is a competitive place: degrees, experience, certifications, and a broad range of experiences do make a huge difference in how fast and how far you can move up the career ladder. On a side note, we would like to mention we will have a name change this month from Snelling Executive Search to Kirby Partners. We feel this name will not create confusion as Snelling has. There are other Snelling personnel offices out there that focus strictly on administrative and temporary employment. Our people remain the same, and our niche remains the same. All we do is healthcare IT recruitment.